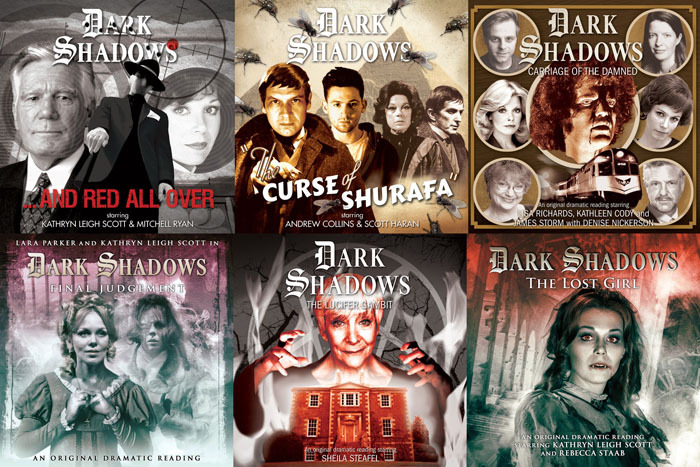 The Collinsport Historical Society: Dark Shadows clearance sale! Remember the other day how I said I don't ever get to cover news? Well, it seems the Dark Lord heard my blasphemous prayer, because, boy, do I have a story for y'all today. Big Finish announced that starting today and going until MARCH 21st, fans can pick up the first FIFTY Dark Shadows "audiobooks" for just $5.30. But that's not all! Along with the stories, Dark Shadows: The Legend Reborn would be available at just $2.64 WEB SPECIAL PRICE!and both volumes of music from the audio dramas will be available at a paltry $1.31. All you have to do is head to this link https://www.bigfinish.com/offers/v/darkdeals and enter the code BLUEWHALE to see everything they have to offer. The only catch is, you can only buy them on CD, which honestly, isn't even that big of a catch. Plan on buying some stuff? Let us know in the comments below!